The world is a strange place, especially lately. We won't even get into the shenanigans happening in Washington D.C., there's no reason to, there are plenty of strange happenings in the lives of the billionaires we follow. One coffee mogul has reportedly decided to run for president of the United States as an Independent – because nothing was learned in 2016, apparently. Another had a woman stuck in the elevator in his townhouse for days. And then there was the time another billionaire fed goat he had killed himself to a billionaire friend. Like the title says, we can't make this stuff up, folks! "I am seriously thinking of running for president. I will run as a centrist independent, outside of the two-party system. We're living at a most fragile time, not only the fact that this president is not qualified to be the president, but the fact that both parties are consistently not doing what's necessary on behalf of the American people and are engaged, every single day, in revenge politics." 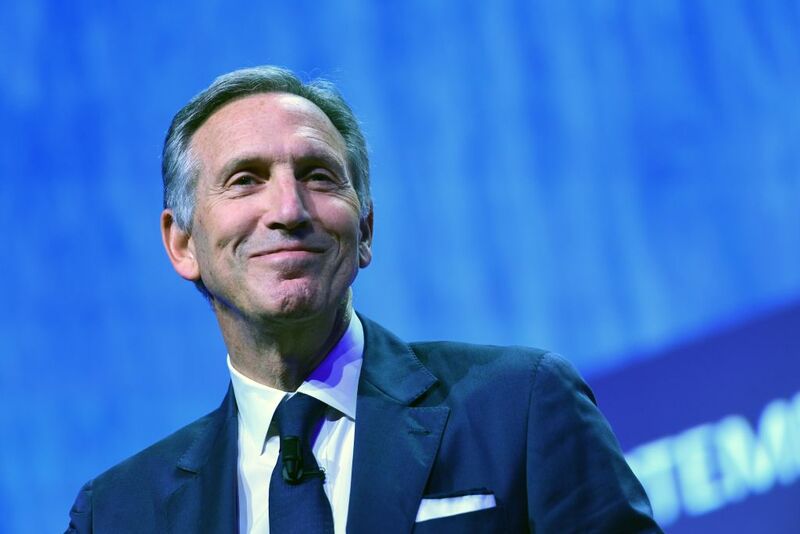 Schultz, a lifelong Democrat, is eyeing the Independent ticket because he believes both major parties have embraced fringe elements and failed to address the country's growing debt. A woman was trapped for three days and three nights in the private elevator of the Manhattan townhouse owned by billionaire investment banker Warren Stephens and his wife Harriet. The 53-year-old is a housekeeper for the couple. The elevator got stuck between the second and third floors of the five story townhouse on East 65th Street near Central Park. A 911 call at 11am Monday morning January 28th alerted authorities to the situation. She had been trapped all weekend because the Stephens were out of town. The townhouse was purchased by Warren and Harriet Stephens in 1999 for $8 million. Stephens is the chairman, president, and CEO of Stephens Inc., an investment bank based in Little Rock, Arkansas. In an interview with Rolling Stone, Twitter's Jack Dorsey revealed a dinner he had with Facebook's Mark Zuckerberg sometime in 2011. At that dinner, Zuckerberg served goat, but not just any goat, one of the goats he raised himself. He also killed that goat himself with a "laser gun." (In reality it was a stun gun.) And then he fed it to Dorsey without cooking it. It was goat tartare. This was the same year that Zuckerberg announced his intention to only eat animals that he killed himself. Folks, what do we expect from billionaires? I mean having all that money and being able to do anything you want, buy anything you want – that must all get pretty boring.